I have always loved sports and being around athletics. The excitement of being at games and watching them on TV was big for me as a kid, so I always considered coaching when I became older. When I began playing football in college, I quickly learned that coaching is a job that requires endless hours, little time for family and not a whole lot of job stability. As I battled through injuries in college, I began to observe those who were in charge of my medical care and I realized that as an athletic trainer, I could limit some of the negative aspects of college athletics while still staying very much involved in athletics. As I learned more about the profession, I became really intrigued with the human body and how it functions, so athletic training became a great fit for me. As I mentioned, I played a lot of sports as a kid, but narrowed it down to football and track in high school. I went on to play offensive line at the University of South Dakota where I was a 4-year starter while earning both my bachelor’s and master’s degrees. In recent years, I have become an avid cyclist and enjoy running, lifting weights and have dabbled a bit in the sprint triathlon field. Tell us about your practice. Where, and what sport do you specialize in? I have a very unique position in that I am the Prevention, Rehab and Physical Performance Coordinator at Missouri State University. 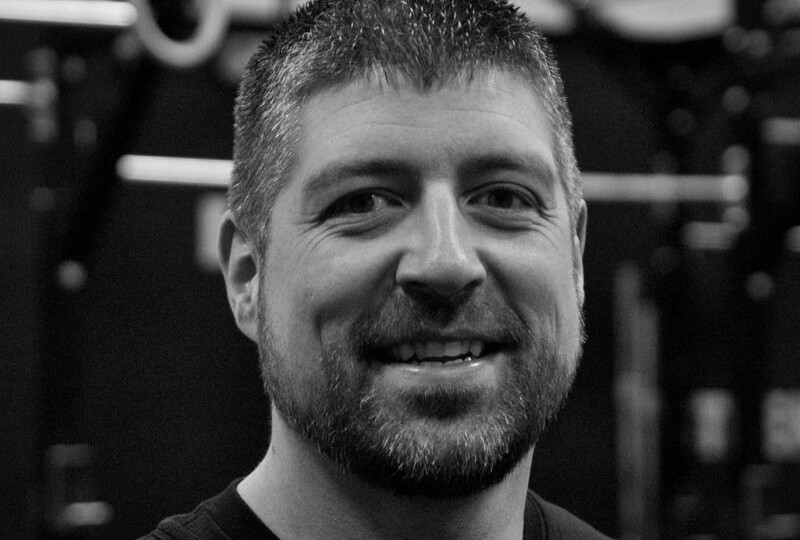 I am in charge of injury prevention and rehab programming for all 17 varsity sports at the university (400+ student athletes). I work directly with both our strength and conditioning and athletic training staffs to ensure that our athletes stay as healthy as possible. For those athletes who unfortunately do get injured, I am involved on some level with their recovery process. I treat most of our post surgical athletes and difficult biomechanical cases. I love that I get the opportunity to work with a variety of athletes from different sports and backgrounds every day while cheering for the same team. What do you watch for during sporting events? Are the injuries in your sport ever predictable? I tend to watch a lot of things going on that are typically away from the regular action. Having worked a lot of sidelines and locker rooms, it’s really interesting to me to watch a lot of the games that take place within the games. Meaning, I enjoy watching how players and coaches fight for positions to set up plays and make strategic moves. I really enjoy watching other teams warm up and train when possible. It gives me a really good glimpse into their overall training and coaching in a few minutes and I am always hoping to learn something new. My brain is set up in such a way that I can’t really turn off looking for injury risk and observing biomechanics and how people move. Even walking down the sidewalk on the weekends I find myself dissecting how people walk, so I would by lying if I said that I don’t look at injury risk during sporting events as well. Every sport has their injury risks, so to a certain degree, some injuries will always be a little bit predictable. But, with high quality injury prevention training, we have proven that we can significantly reduce that risk, so I don’t think about those factors as much as I once did. In your opinion, what are the most underrated forms of sports rehabilitation? Movement. I am a firm believer that the sooner we can get people moving after an injury, the better. Especially for athletes. I work very hard to get people off of a table and moving as quickly as I possibly can, even if it is moving something that is unrelated to their injury. 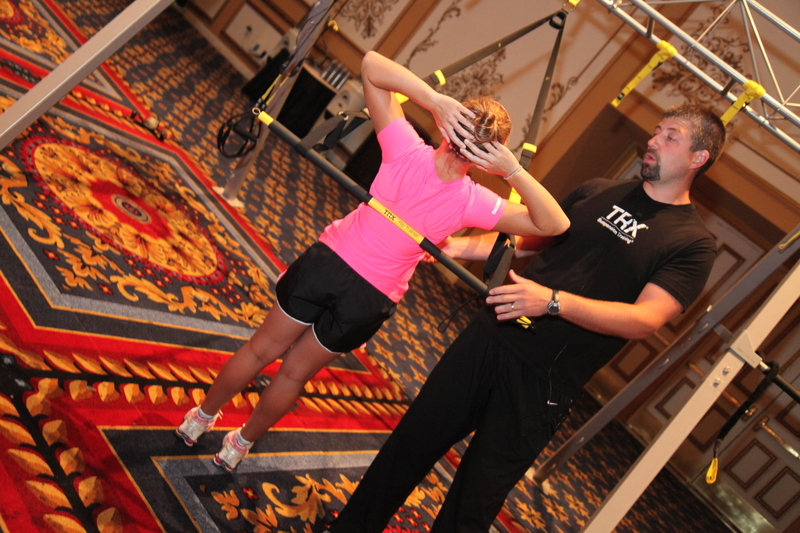 Movement is great for overall function, the athlete’s mindset, and has been shown to improve tissue healing. I’m also a big believer that we need to perform hands-on manual therapy. Unfortunately, many athletic trainers don’t have an extensive background in manual therapy, so a lot of athletes miss out on that powerful aspect of their recovery which is really unfortunate. What are the most common injuries you see in the sport you train for? Why? That’s an interesting question because it seems to change every few years. When I first started at the university 9 years ago, we had a lot of ACL tears. That was a huge point of emphasis for us in the first few years that I was there and now we only see 1 or 2 per year and the majority of those are contact injuries that are very hard to prevent. We then saw a run on shoulder labrum injuries that required surgery. Over the last couple of years we have changed some training methods and have seen a nice reduction there. Last year we had a run on hip surgeries, so we are working hard to find good solutions to keep those injury rates down in the future. Each sport will always have their own inherent risks due to the nature of the sport and the type of athletes that play that sport, but I feel strongly that with good training, most injuries can be prevented or significantly controlled. I think that there are several reasons that we see injury rates changing over time, including changes in training, coaching styles, playing surface and equipment changes, and as we improve training in one area of the body, the stress of competing tends to find the next weakest link, leading to changes in injuries over time. 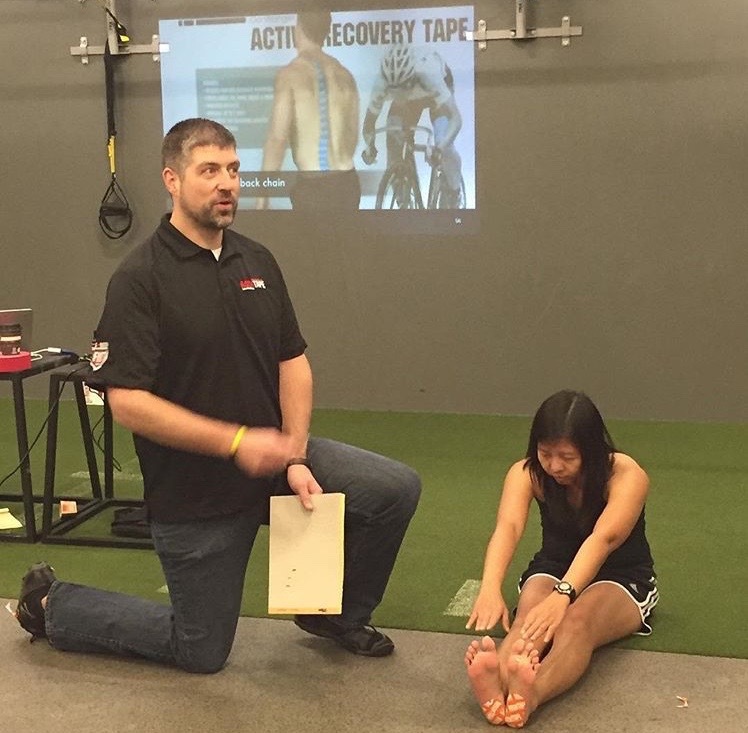 What is your most common injury/dysfunction you tape for? This is hard to say, because I tape a lot of dysfunction. I find that I tape the diaphragm a lot because it provides core and trunk stability which solves a lot of the issues that I see in athletes. I also perform a lot of postural taping for the shoulder and lower extremity. What was your first experience with RockTape? 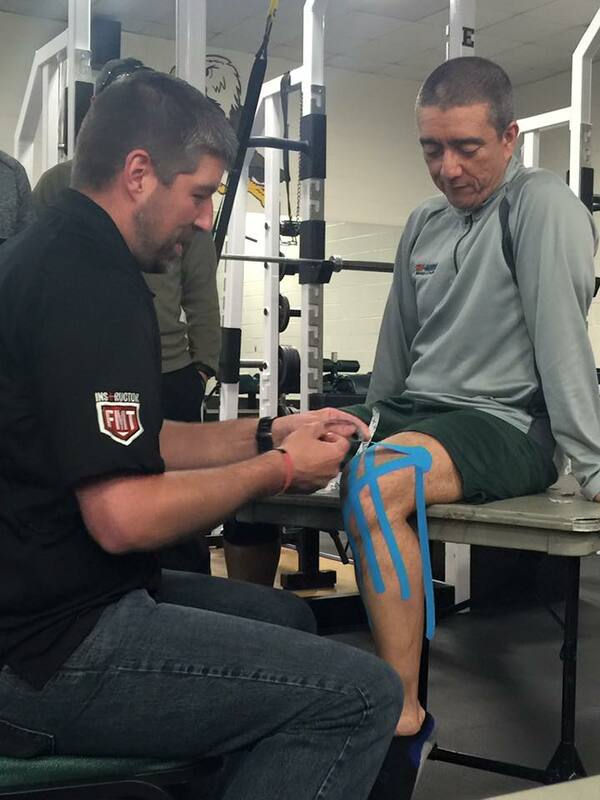 I first used RockTape while taking a taping course from Medical Minds in Motion several years ago. I had performed a small amount of taping prior to that with another brand of tape was blown away at the quality of the adhesive and feel of RockTape. I was hooked by the tape itself and then when I learned more about the RockTape methodology, I began drinking the RockTape Kool Aid in large quantities. 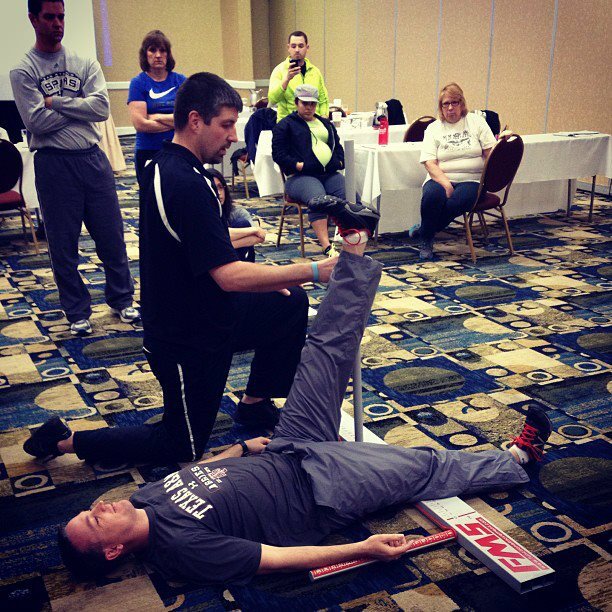 How do you use RockTape in your practice? I tend to use RockTape for postural control and fascial unloading to provide neurosensory feedback into the body to improve body position and correct overall function the most. But, with the nature of college athletics, I see a lot of injuries, so I use just about every taping technique that we teaching at some point or another. What’s your favorite RockTape pattern/product? I’m a standard RockTape guy in just about any pattern. If I had to pick, I would probably lean towards blue argyle or New York Yankees as my favorite pattern. I’m also a fan of the Blades and the exciting educational content that goes with them. If you could change one behavior of your clients, what would it be? Discipline. Our athletes have all of the resources around them that they need to be successful, ranging from healthcare to academics to performance training. The only thing that holds them back is themselves. Those athletes who are focused and disciplined towards achieving their goals on a daily basis are the ones who are very successful on all levels. I get frustrated when I see young athletes who don’t appreciate all of the advantages that they have around them and take full advantage of them by living an intentional life. What most excites you about the future of taping? I am really interested to see how taping pediatric patients with special needs grows and evolves in the coming years. I think there is more potential for growth with this population than any other population that we currently treat. As a father of 4 adopted kids, each with their own personalities and needs, the thought that we may be able to make a significant impact in things like attention, focus and behavior with tape is very exciting to me. Rockin! Help us spread the movement! Did you like this article? Share it and pay it forward to your friends and colleagues.